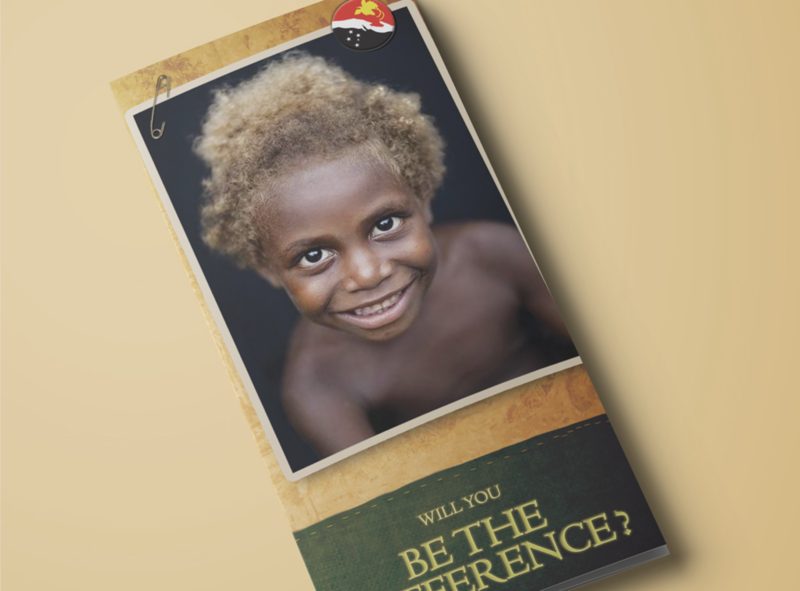 Papua New Guinea resources are plentiful, but some of its citizens were in need of help. Not just physical help, but spiritual too. First the logo was created. The logo represents people coming together to help one another out; it also is the same colors and layout of the PNG flag. 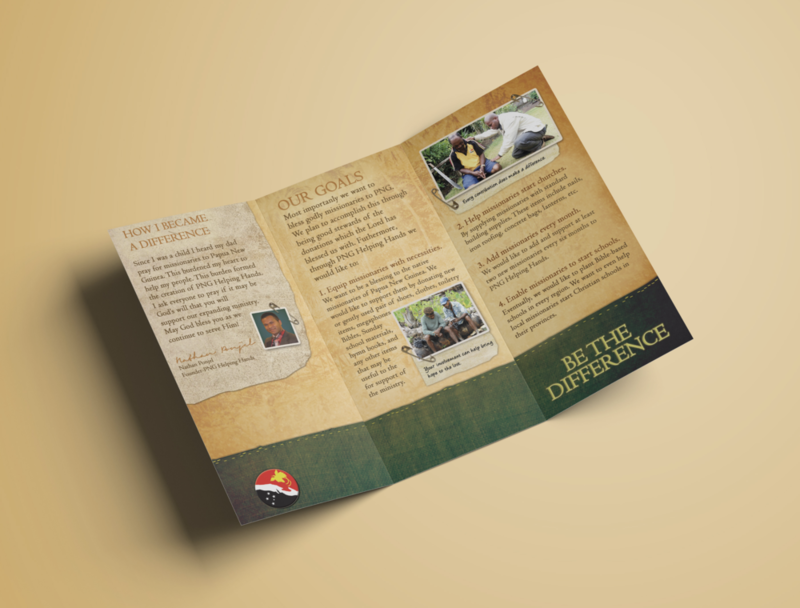 Secondly, the brochure was created to reach the people of PNG with the Good News.